Birthdays are a special occasion to spend time with loved ones, eat cake, receive gifts, and celebrate the future. Mimi Weaver used her 70th birthday as an opportunity to give rather than receive. Instead of presents, Mimi asked her friends and family members to make donations to Frost Valley YMCA. Mimi was first introduced to Frost Valley 40 years ago while working as a social worker for a dialysis clinic in New Jersey. During that time, she was a volunteer for the National Kidney Foundation of NY and NJ. She was also involved in fundraising for the Ruth Gottscho Kidney Foundation, which partners with Frost Valley YMCA and the Children’s Hospital at Montefiore to make the dream of summer camp a reality for children with chronic kidney disease or transplants. Mimi expresses her fondness for this one-of-a-kind camp program. “I really admire Frost Valley’s Kidney Camp because the kids can participate in all the traditional summer camp activities and still receive their dialysis treatments,” she says. She also witnessed firsthand how Frost Valley’s Overnight Camp positively influenced her grandson Rivers, who has been a camper for the past five years. Mimi is thrilled with the self-confidence and maturity he’s gained. 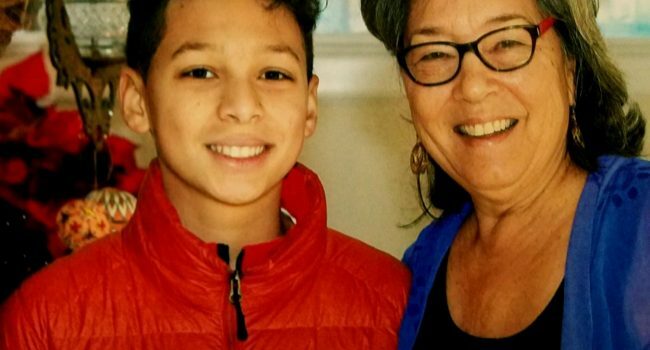 She witnessed how he came back from camp that very first year, at age 8, more mindful and helpful — volunteering to help his mother do chores around the house. As an avid traveler, Mimi knows the importance of spending time outdoors, especially for children. “It really is a gift for children to be able to spend a little time away from home, exploring the world around them and having fun with other kids in nature,” she explains. That’s precisely why Mimi asked her friends and family to donate to Frost Valley in lieu of birthday presents. 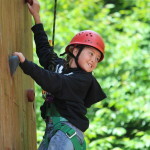 Because of her desire to give to the organization she holds dear, Mimi’s friends and family generously donated $390, which will have a lasting and meaningful impact in the lives of children who otherwise might not be able to experience summer camp. And summer camp is a gift that will stay with children for a lifetime! Thank you Mimi, for all your generosity and support. This story originally appeared in Frost Valley’s 2018 Annual Report. Find more great stories in this issue.